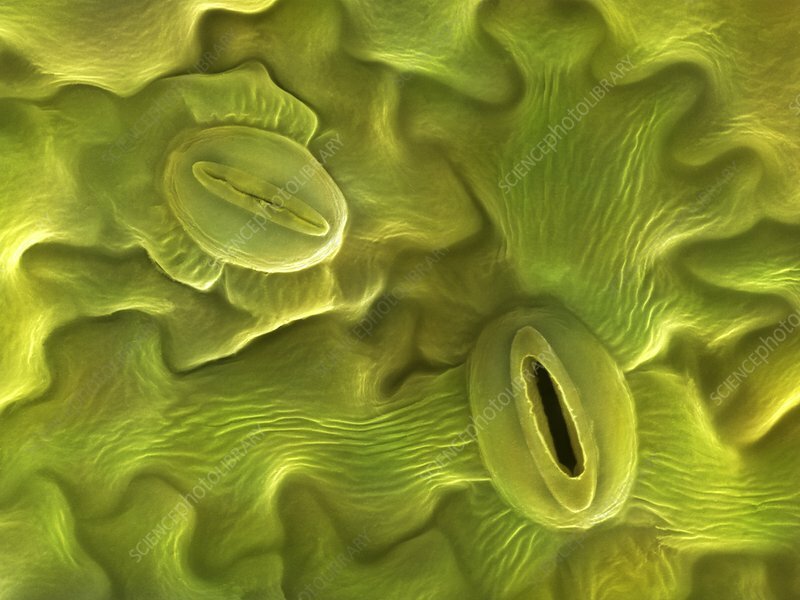 Open and closed stomata on a lavender leaf (Lavendula dentata), coloured scanning electron micrograph (SEM). Stomata are pores that open and close in order to regulate gas exchange in a plant. A stoma comprises a pore, the aperture of which is controlled by a pair of specialized cells known as guard cells. These cells swell to close the pore and shrink to open it. Stomata are found mainly on the underside of leaves. The top left stoma is closed and the bottom right is open. Magnification x2000 at an image size of 10cm wide.